Thanks to big increases in virtual reality-ready smartphones and standalone headsets, the market for VR-specific games is about to explode. Revenues generated by this new breed of game will rocket from $1.2 billion this year to $8.2 billion by 2023, according to a forecast from Juniper Research. 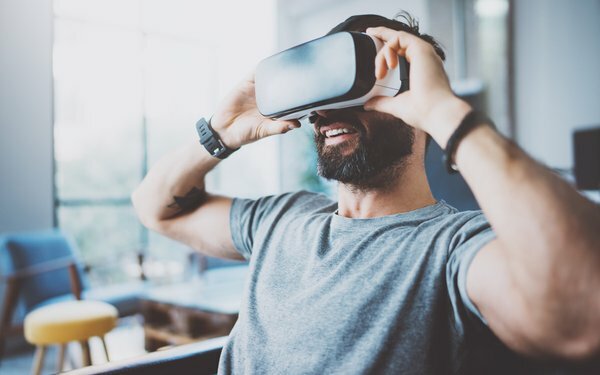 By then, Juniper expects more than 100 million mobile VR devices -- including smartphones and standalone headsets -- to be in active use. That would represent a nearly 100% increase from the 52 million devices that Juniper expects to be in use by the end of this year. Revenues from VR-specific mobile games will exceed $4.6 billion by 2023 -- yet average revenue per mobile VR games user will be the lowest of all VR platforms, according to research author Sam Barker. “In response, app developers must mitigate high app abandonment rates by providing engaging and continually-updated content,” Barker notes in the new report. The financial success of VR app developers will largely rest on the development of tons of smartphone VR content. In fact, Barker partly blames a shortage of quality and low-cost VR content for lower-than-expected VR hardware sales, last year. Also, Juniper forecasts that more than 50% of mobile VR games accessed in 2019 will not be monetized, due to the difficulty of implementing advertising in VR content without impeding the user experience. Barker suggests app developers leverage in-app purchases to recover this shortfall in potential ad revenue. More broadly, Juniper has identified 2023 as the year in which VR content revenues -- including games, multimedia, gambling and others -- will surpass hardware revenues for the first time.